Now your students will have the technical tools needed to achieve artistic performances. They will encounter skills in four areas---playing naturally (physical aspects), moving freely (around the keyboard), playing beautifully (tone production) and playing artistically. The technical goals are accomplished through three types of activities---patterned exercises with necessary repetitions to make the technique feel natural, artistic etudes that showcase the student’s technique in an artistic musical setting and appealing and descriptive exercises called Technique Tools. The nine Technique Tools in Level 1A relate to relaxed shoulders, arm weight, moving freely, strong fingertips, finger weights, repeated notes, thumb position, finger independence and gentle hand rock. 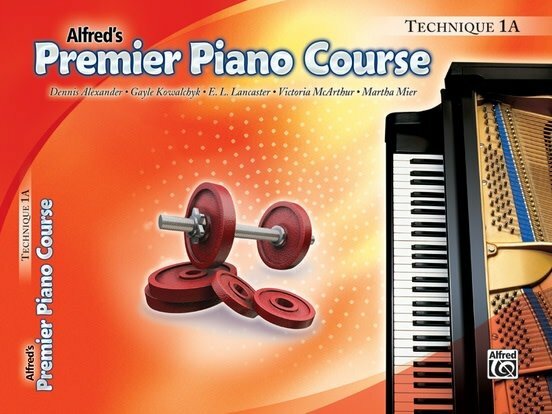 Each page in the Technique Book correlates with a specific page in the Lesson Book; when the Lesson, Theory, Performance and Technique books are used together, they offer a fully integrated and unparalleled comprehensive approach to piano instruction. 32 pages.